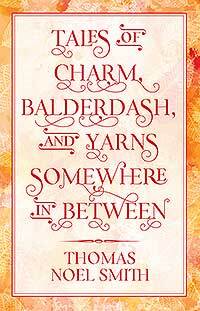 Author Thomas Noel Smith is taking his latest book Tales of Charm, Balderdash, and Yarns Somewhere In Between, on tour — a Virtual Book Tour with Outskirts Press. Thomas will be able to take his book to the far corners of the globe, all from the comfort of his own home! Keep an eye out for Thomas’s book as he will be featured on several blogs over the weeks and months ahead! Luckily for us, Thomas was kind enough to answer a few questions as the tour was getting started so that we can give you a glimpse into the mind of the creator of Tales of Charm, Balderdash, and Yarns Somewhere In Between. OP: Tell us a little bit about Tales of Charm, Balderdash, and Yarns Somewhere In Between. What is it about? Thomas: My book is a collection of short stories ranging from the very serious to the very ridiculous…all of the stories are very entertaining. Thomas: There were stories deep within me that needed to be told. Thomas: I submitted my manuscript to Outskirts Press. I have published four other books with Outskirts Press. Thomas: I think everyone who enjoys fiction will be interested in my book. Thomas: It is unique. The tales offer a different view of life and the world in general. Thomas: No other book has such a wide variety of stories — ranging from the very short and direct, to the longer stories that approach the essence of life and love. 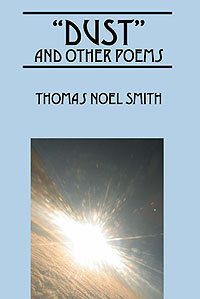 Thomas: I have published four books of poetry with Outskirts Press: “Dust” and Other Poems, Pirouettes in the Moonlight, Words of the Times, as well as Impressions and Memories. Thomas: Yes, I plan to publish more. OP: Thanks for your time, Thomas! We look forward to learning more about you as you visit other bloggers! Self-publishing authors are a diverse group, producing works that range from insightful personal memoirs to gripping thrillers to academic references and guidebooks. This week’s Self-Publishing Author Spotlight highlights the talented poet Thomas Noel Smith who’s published three diverse collections through Outskirts Press. Read on to learn more about Thomas and his works. Thomas Smith grew up as an “army brat.” He lived in France and Germany, as well as several different states. His interest in the arts developed early. He performed as a magician, and attended Ringling Brothers Clown College. He traveled for two years with a small one-ring circus as a professional clown. 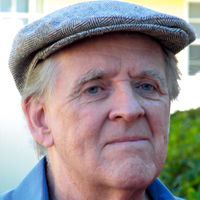 Thomas earned a degree in English from the University of Tampa; a degree in theatre from the University of South Florida; and an MA in directing from Chicago College of Performing Arts. Currently, he is a film actor in Florida. In addition to writing, Thomas’ interests include exploring his Irish heritage. He is currently learning Gaelic, and hopes to visit the land of his ancestors. The works in “Dust” and Other Poems are a collection of works that address the human condition, from our origins to our movement and development through time. Some of the works are heartwarming. Some are disquieting. 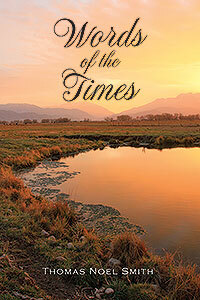 Each poem attempts to engage the mind, touch the heart, and invigorate the spirit. Poetry is the music of life that sings of where we’ve been and inspires us to reach for a sense of perfection in our lives that we can achieve. 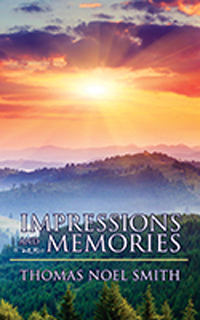 In Impressions and Memories, poet Thomas Smith draws on a wide array of inspirations and reflections to create a collection of poems that speak to the song burning deep within each of us. Using the rhythm, melody, and language of traditional poetic forms, these verses distill the essence of daily experience, from the beauty of the world around us to the poignant nostalgia of cherished memories. Lyrical and thoughtful, deeply felt and broadly accessible, Impressions and Memories will remind you of the richness and wonder of the world around you, and give you a moment of healing calm to refresh your spirit. Do you have a book or two waiting for the world to read? Let Outskirts Press get you started on your own publishing dreams!